How to disable individual XPTaskBarItem in the XPTaskBarBox? 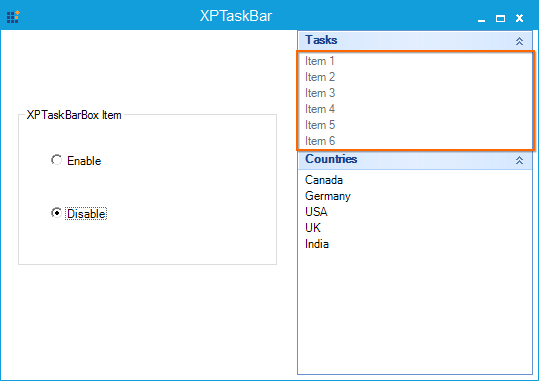 You can enable or disable the XPTaskBarItems by using the Enabled property of the XPTaskBarBox. Note: The XPTaskBarItem is enabled, by default.